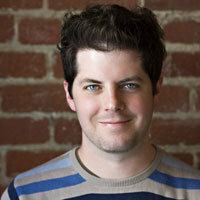 Hi everyone, I’m Ben Trott, the co-founder and Chief Technical Officer here at Six Apart. It’s been a while since you’ve heard from me because my focus is on leading our team of engineers, and I spend most of my hours (ok, mainly the waking ones) writing code, brainstorming and building the infrastructure that powers TypePad. You’ve heard from our CEO Chris Alden a few times this year about our plans for TypePad, and a big part of my job is the process of moving all TypePad blogs to a next generation platform. I’d like to give you some more details about our progress behind the scenes and also let you know what to expect in the coming months. A lot has changed since we launched TypePad back in 2003, essentially as a hosted version of Movable Type. In 2006 we launched Vox, a social blogging service that brought innovative new features to blogging, such as powerful privacy, a much better way of handling photos and videos, and new ways to connect with readers, blogs and bloggers who share your interests. When we built Vox, we also created a groundbreaking underlying framework for building blogging applications, including a new architecture, a new codebase, and a new data model. TypePad powers some of the best blogs in the world, so in order to keep innovative features coming we made the decision to migrate the entire service to this new platform. While we will keep Vox and TypePad as separate services, we see tremendous advantages to having them share the same infrastructure, and later this year you’ll see the benefits too. In simple terms, our migration process involves copying data into the new data model, then slowly moving your blogs over to be served by the new architecture and the new codebase. Because of the powerful customization options and flexibility we offer in TypePad, there is no “one-size-fits-all” process for migrating every blog. So, we’re batching blogs in ways that map well with the new architecture – the order in which we’re migrating blogs doesn’t correspond to any recognizable information to you, such as your account level or anything like that. Our process may seem random from the outside, but I assure you we’re not playing favorites! A tremendous amount of focus and effort from the entire TypePad team2 and Six Apart staff has been put in to making this a smooth transition. We are going to err on the side of caution and take the time necessary to move every blog successfully, with as little disruption as possible to you. As always, our Support team is standing by and has recently redoubled their efforts to reduce wait times for open tickets. While the new TypePad looks significantly different to the engineering team working on it, it looks pretty much the same to those of you who can see it right now. There are some areas, such as the Compose screen3, where we have made changes you can see (so if you have a new Compose screen you have already been migrated! ), but by and large the application will look and feel the same. Once the move to the new platform is completed, you will start to see new features and we’ll deliver improvements based on your feedback, building and refining them much more quickly with this new flexible system. Shortly we’ll announce how you can be part of our expanded beta community, and help us test new features if you are interested. For those of you who don’t have the time or interest in being on the frontline for the new features, you’ll be able to hang back and get the new functionality after it’s been worked on by our community of beta testers. We’ll tell you more about all of this soon. Keep blogging! The whole team has been working on this for over a year, and we’re excited to start sharing the new TypePad with you (and frankly all the engineers here can’t wait to hack on the new platform) but please bear with us as we go through the home stretch. I’m so proud of what we’ve accomplished so far, and even more excited to bring TypePad into a whole new era. We’ll keep updating you with more information along the way. Thanks for the amazing blogging you do with TypePad, and thanks for letting me step out from behind the scenes to give you this update. 1Even though blogging is my business, I keep a personal blog at Stupidfool.org about all my obsessions, from pork to Project Runway. 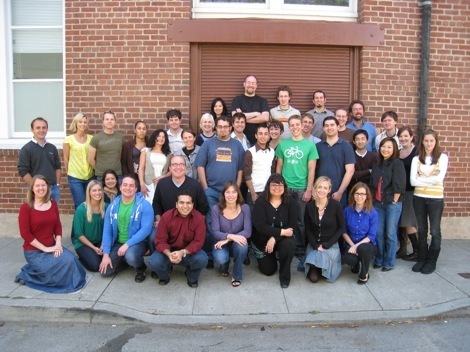 2We've included a photo of most of the TypePad team, except for the team members who work remotely or were out of the office today. 3 The new Compose screen has a footnote feature, which makes me very happy.